Development and evolution of robotic technology implicates that more tasks will be replaced by machinery. By the year 2025, approximately 12 million jobs will be lost in the United States of America due to work automation. Roles in customer service, office, and administration will soon be handled by robots designed to perform such tasks. However, this work automation era will in turn create new jobs targeted towards monitoring the machines, collecting data, and more. 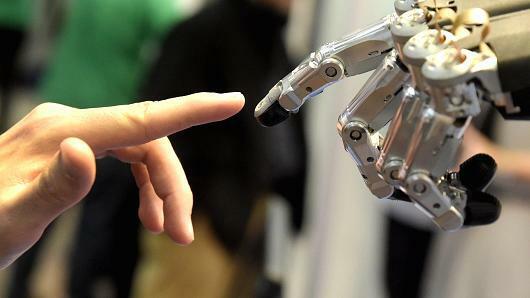 A report published by Oxford University ranked the jobs that are most likely to be automated by 2020. Clerical work will soon be replaced by new robotic technology as their daily tasks are repetitive and can be easily facilitated by machines. Companies have already incorporated robots in their daily routines. For instance, 15 core business processes such as order processing and credit checks have already been used by software robots developed by Blue Prism in Telefónica’s O2. Meaning, these robots are equivalent to 100 full-time employees. The chief of staff at Redwood Software, Neil Kinson, believes that automation will be the key successor to improving economic productivity. Thus, the measure of output per unit of labor will be increased as work automation becomes more prevalent. This prediction will help the U.K. as they have seen a significant decrease of 1.2 percent in output per hour over the last quarter of the year 2015, according to the Office of National Statistics. Redwoods staff views this new form of technology as a liberation for clerical workers from repetitive and mundane jobs. Kinson dismisses concerns that all white collar workers will lose their jobs to robots. Hence, he believes that it will have positive consequences because the people that remain will thus perform more enriching activities. With the constant evolution that technology faces on a daily basis, there is no question that we are advancing at an exceptional rate in which white collar jobs will now be manifested by machinery. For more information on work automation, click here.